Dine cater for smaller events at home, ask for a quote or about our ‘Dine to go’ options which include a packaged delivery of prepared food to your door. C – Canapés; when choosing, try and ensure you have a good selection of ingredients and at least one vegetarian option. A good Event Manager will help you choose a balanced menu that will satisfy even the most particular guests. H – Hosting; Fancy having a few friends around for drinks & canapés but don’t want the hassle of co-ordinating it all? Dine cater for smaller events at home, ask for a quote or about our ‘Dine to go’ options which include a packaged delivery of prepared food to your door. R – RSVP; Christmas is a busy time for everyone, so whether it’s the invite to your office party, or to a meet up with friends, reply as soon as you can so that arrangements can be made accordingly and ‘to do’ lists can be shortened. Etiquette after the event is of course as important as beforehand; a smart handwritten card of thanks the following day is always very well received by any host or organiser. I – Ice sculptures; Are a fabulous alternative (or addition!) to a large plinth of flowers on arrival and really help to set the scene for a Christmas Party. 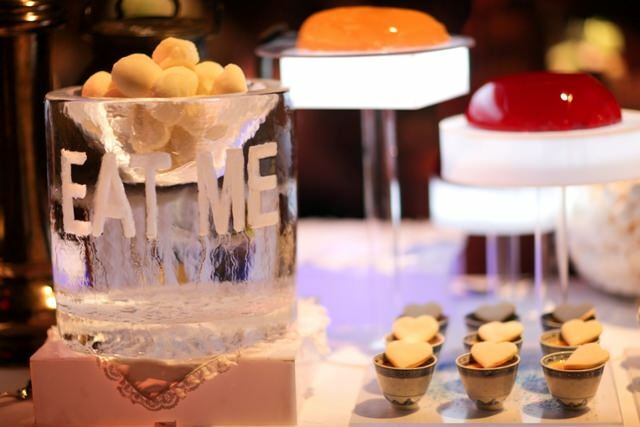 From your company logo in ice, through to uplit ice bowls used to chill drinks for the evening, it’s a great way to add memorable detail to your event. 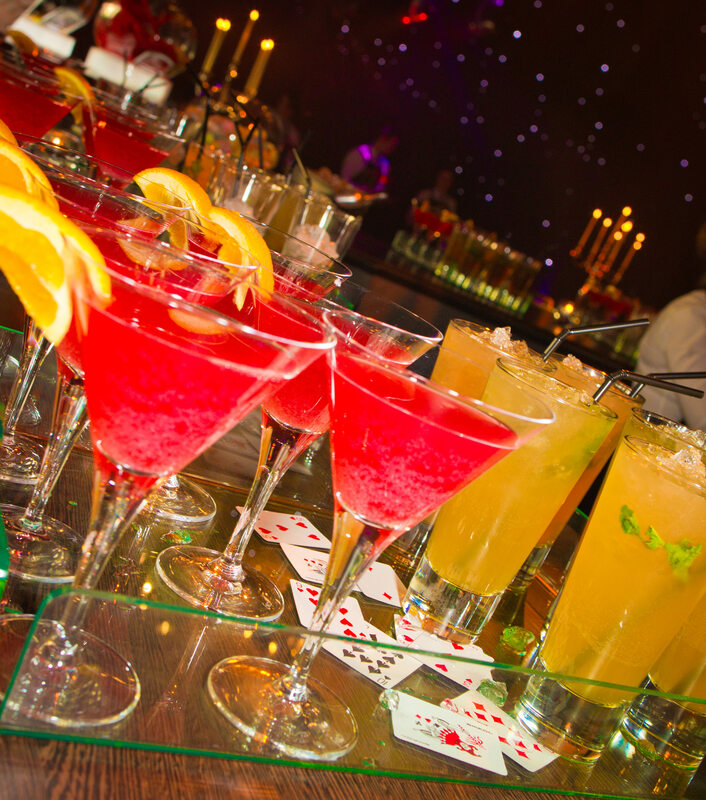 S – Soft drinks are often the key to making it through the evening, especially if the wine is free-flowing! Dine offer a great range of alternatives to the standard ‘juice or water’, from Elderflower Spritzers to a festive glittering non-alcoholic mulled wine, the possibilities are endless. 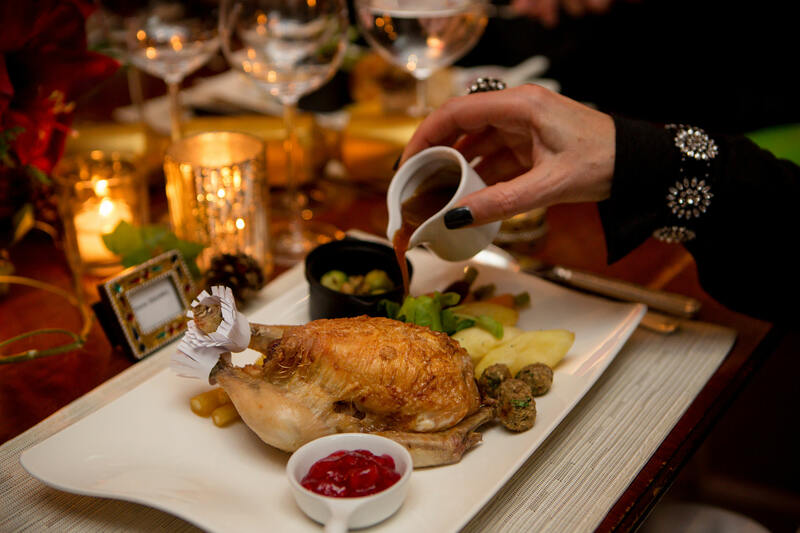 T – The Mansion; with a range of rooms to seat 6-140 guests, it offers a perfect location for that pre-Christmas dinner or get together. From more informal dining in the Garden Room to butler service in the Fountain Room, or a great Christmas Party with Disco in the Mansion room, speak with our team to check availability. M – Meat; Often the most talked about aspect of Christmas lunch itself! Whether you choose the traditional turkey or prefer to go a little off piste with roast beef or a ham joint, Christmas is a great time to visit your local butcher, shop local and of course, make the most of the leftovers! A – Amazing lighting! Winter is the time to really be able to go to town on lighting your home or venue. 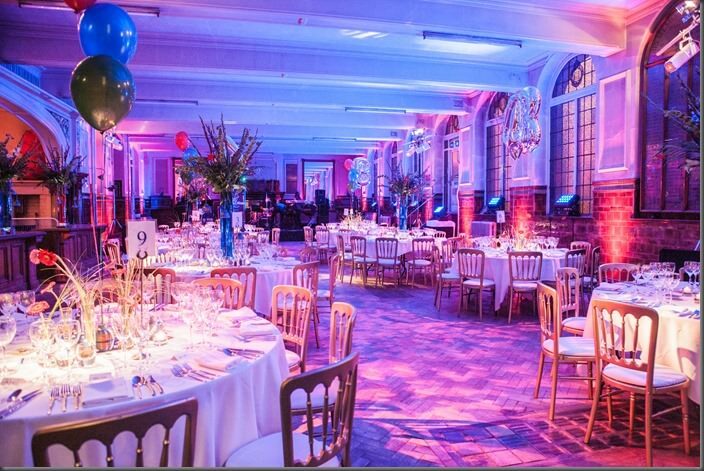 From uplighters at the entrance, to spotlit tables or candlelight centrepieces, the whole theme of your event can be changed with some well chosen lighting. We are fortunate to work with some excellent AV companies, simply ask your Event Manager for recommendations to enhance your event. S – Snow; Every Christmas celebration is complete with a dusting of the white stuff. Now although we can do excellent events, we just can’t quite promise this! Wishing you all a very Merry Christmas from the team at Dine – ho ho ho!